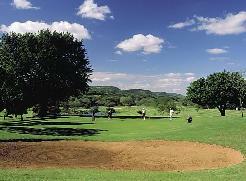 Leopard Creek Golf Course is currently rated as the number one golf course in South Africa and features on the European PGA Tournament Circuit. 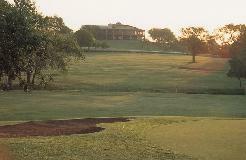 The Gary Player design team worked closely with the Kruger National Park Game Reserve (which it overlooks) and nature conservation authorities, to ensure that the Leopard Creek golf course blended in with the surroundings, providing a top class golfing challenge in an undisturbed pristine wildlife environment. A paradise for bird-watchers and a treat for those golfers priviledged to play it, the cool shade of indigenous trees at Leopard Creek Golf Course, some hundreds of years old, are home to over 200 bird species. Innovative architectural and landscaping techniques ensure that the Leopards Creek golf course and living areas are naturally protected from animals, while lakes and small streams have been diverted through the development to create scenic vistas and interesting golf strategies. 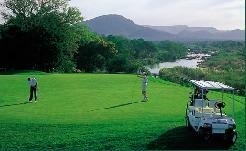 Golfing hazards take on a new dimension at Leopard Creek, for much of the water is home to families of hippos and the magnificent creatures for which the river is named, crocodiles. 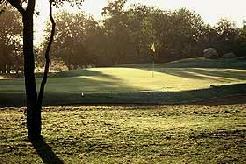 Extensive use has been made of water features and sightings of crocodile, hippo, antelope, buffalo and wild boar are commonplace, either on the course itself or in or next to the river running alongside several holes. 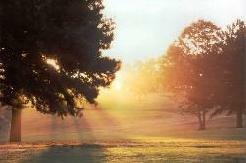 Signature Holes: The 510 meter par-five fourth is one of Leopard Creek's most memorable holes. Here the green is right on the edge of the Crocodile River but 32 meters above the level of the water, offering magnificent views up the river and into the Kruger Park. Elephant are often seen walking alongside the river. Gary Player is especially proud of the par-five 18th with its island green and the par-four ninth with its peninsula green jutting out of the same body of water which, incidentally, is home to a number of hippo. 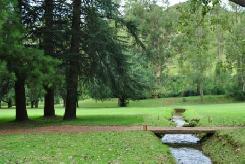 It is not cheap and not open to everyone, but as preferred operators we can make the necessary arrangements. A Connoisseur's choice - it is simply the best.